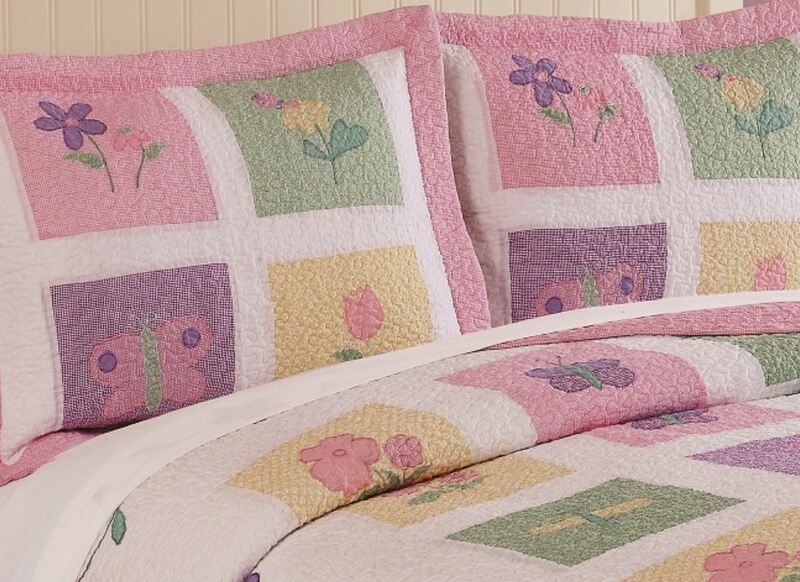 Spring Meadow applique quilt is beautifully hand pieced. 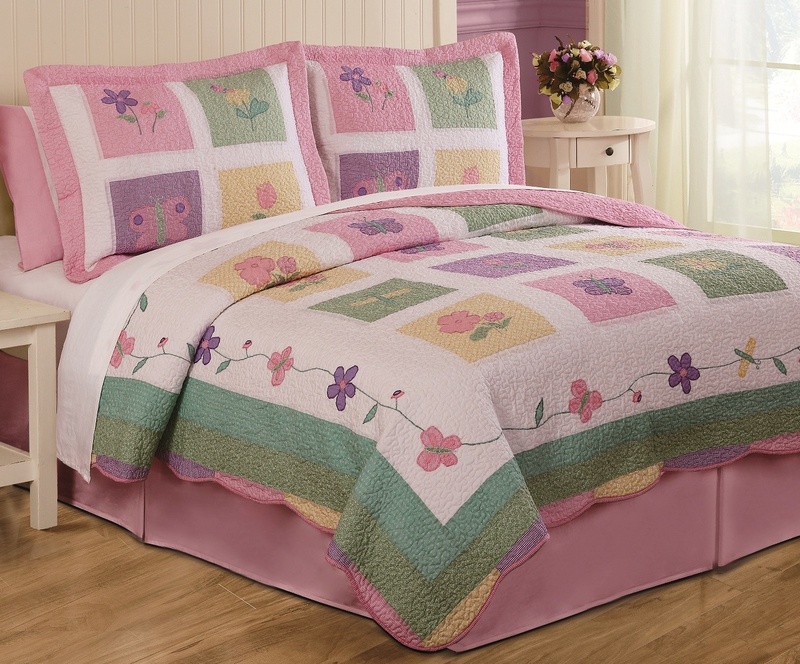 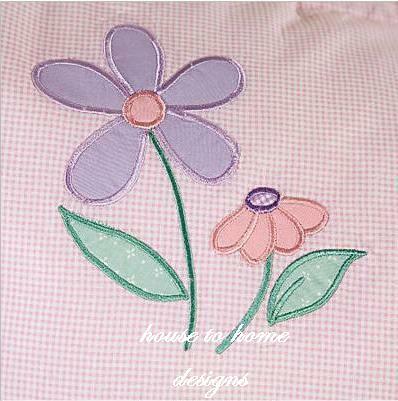 Lovely applique butterflies, ladybugs, and dragonflies flutter upon a field of sweetly-colored quilted flowers. 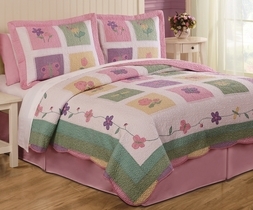 Sweet gingham and floral fabric blocks in shades of pink, lavender, yellow and green on a bed of white.